Birthday party Magician, My Children’s Magical entertainment will make your child’s party an UNFORGETTABLE Success! – making it a party they will remember for a lifetime! – The Birthday Party Magic Show guarantees to hold the children’s attention (of all ages) from beginning to end and the adults too! My Birthday Party magician, Magical entertainment has been thrilling children of all ages for over 15 years with thousands of performances, booked by parents year after year, (with a different show each time). When you want the very best, you need The Magic Man! The Birthday Child can become the Real Star of the Show! (if they would like to), helping The Magic Man during this fun filled Birthday Party Magic Show, the Birthday child can do some Amazing Birthday Magic Tricks! while helping The Magic Man to entertain all the children (and the adults too!). The Birthday Party Comedy Magic Show is packed with Magic Tricks, Puppets, Ventriloquism, Balloon Sculptures and at the end of the show, The Magic Man will present the birthday child with a Magic Wand Trick Set and each child attending the party will receive a Surprise Magical ‘give-away’. What sets Children’s Magician The Magic Man apart from other Kid’s entertainers? Experience! Experience! Experience! 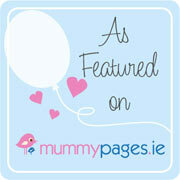 – His vast experience and his ability to keep the children’s attention from beginning to end…….guaranteed! Kid’s entertainer, The Magic Man provides highly interactive and visual Kid’s Party Magical Children’s entertainment that has ‘tons’ of ‘audience participation’ and is guaranteed fun for all ages, giving all the children an amazing magical experience that they will NEVER FORGET! Easy and Stress Free for You! 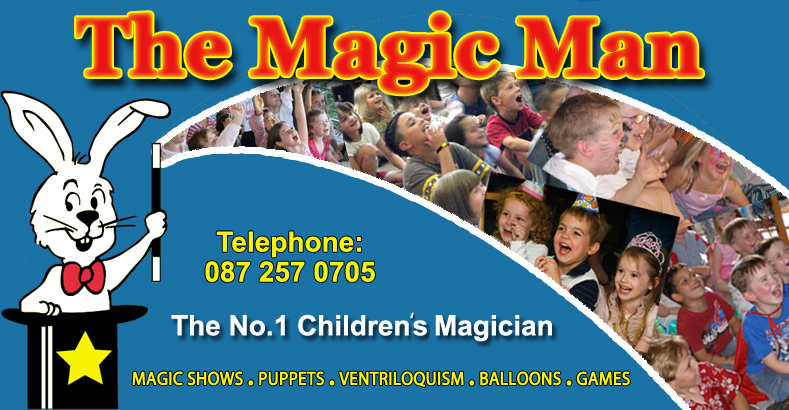 Having The Magic Man as your Kid’s Party Entertainer, is a proven way to make it “easy and stress-free” for you and the ‘best birthday party ever!’ for your birthday child. Performances are always age appropriate and guaranteed to keep the children’s attention from start to finish (and the adults too!). What does The Magic Man need? A few minutes to set-up and that’s it! – no mess, no fuss! Book this affordable top-class Children’s Party Magical entertainment now and fill your child’s party with fun, laughter and excitement. Your child will have unforgettable memories of their ‘Special Magical Occasion’ – memories that will last forever! – Guaranteed! 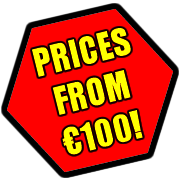 Should you wish to make a booking or require more information, telephone John on 087 257 0705 or to send an email click ‘Contact’ at the top or bottom of this page. John, thank you once again for such an amazing show, everyone loved it. Max’s favourite bit was when he got the dollar! Hope to see you again soon at one of his friend’s parties. Claire & Peter Murphy, Greystones, Co. Wicklow.